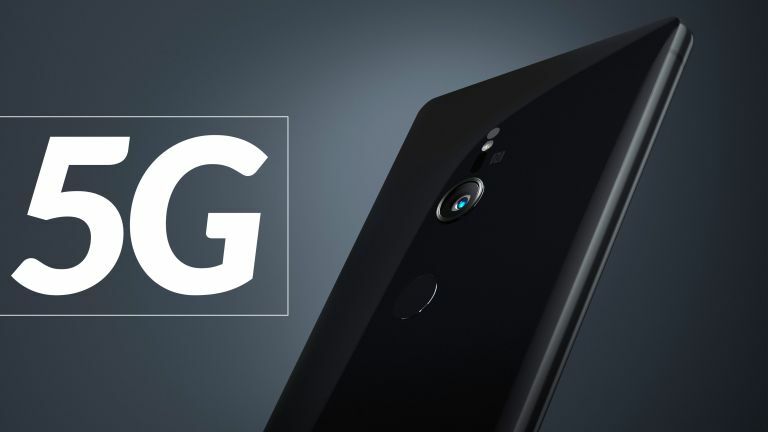 5G smartphones are dominating 2019: we've seen big-name phones like the Samsung Galaxy S10 5G, the Huawei Mate X, the Xiaomi 5G Mi MIX 3 and the LG V50 ThinQ show off their 5G capabilities, and plenty more are on the way. Bear in mind that Qualcomm President Christiano Amon, has said that "every Android vendor is working on 5G right now", plus all the 5G tech we saw at CES 2019 and MWC 2019 – and it's clear that by the end of 2019, 5G will have well and truly arrived. With that in mind, we've rounded up all the 5G phones of 2019 you need to know about, whether you've decided now is the time to upgrade or not. Add in some extra leaks and hints to the official confirmations, and it's clear that 2019 is going to be not just a year where 5G technology hits laboratories, but when it will actually arrive in our mobiles. We will be carrying round with us amazingly powerful 5G phones... and there are plenty of reasons to get excited! The next-gen 5G phone data tech will not only absolutely smoke 4G and 3G in terms of speed, but it also has the potential to radically alter how the world's best smartphones are used every day. With so much bandwidth available, we'll see plenty more gadgets and devices getting online too (self-driving cars and so on). Here we're going to run through the best 5G phones of 2019, with makers like Samsung, Sony, OnePlus and Huawei already deep in the technology, and others likely to follow very soon. We're also going to help answer some key questions about 5G as well, such as if 5G phones in India are launching at the same time as in Europe, as well as if we can expect 5G phones soon in the UK, what will be a realistic 5G phones price point to expect, as well as if there really will be a 5G new iPhone this year, too. 5G explained – what is 5G? 5G is the successor to 4G (or LTE), which succeeded 3G (can you spot the pattern?). Once phones and the network infrastructure have been made 5G-capable, we can all start enjoying faster upload and download speeds, among many other 5G phone benefits. How much faster is a 5G phone connection? It depends on your device, location, and network, but improvements of around 15-50 percent should be possible day to day in the real world. Hypothetically, in lab conditions, 5G can improve on 4G many more times than that, so there's room to grow: imagine full 4K movies downloading in a minute or two, and you're in the right area. 5G isn't just about speed though, about simply being able to watch 4K Netflix on the train home. It's also about capacity, and being able to get a stronger signal in crowded areas. In other words, you shouldn't lose connection anywhere near as easily at a crowded sports stadium or a music festival, for example. Be sure to check out T3's dedicated 5G explainer feature if you want even more information about 5G technology. Samsung has taken the plunge into 5G with the Samsung Galaxy S10 5G, the super-fast variant of the Samsung Galaxy S10 range it launched in February 2019. In fact it's a major upgrade over the standard S10, with a bigger screen and better camera as well as that 5G capability. The phone comes with a 6.7-inch QHD AMOLED display, 8GB of RAM and 256GB of built-in storage. A huge 4,500mAh battery is on board too, and you get the same reversible wireless charging trick as the other S10 phones offer. The Samsung Galaxy S10 5G phone is slowly rolling out to markets across the world now, but expect to pay a premium over the standard Samsung Galaxy S10. The LG V50 ThinQ may not carry the "wow" appeal of the Huawei Mate X, but it's a strong 5G phone in its own right – and it's even foldable, sort of, thanks to the Dual Screen accessory that you can attach to it for a second display. The phone was launched alongside the LG G8 ThinQ at MWC 2019 in Barcelona, and brings with it a Snapdragon 855 processor, a 6.4-inch QHD+ OLED display, and a triple-lens camera system around the back. Those are decent specs if you're shopping for a flagship phone in 2019. It's the 5G that's the real selling point here though. The roll out of the phone starts on April 19, with a listed price of 1,199,000 Won (approximately £810 or $1,055). The 5G Xiaomi Mi Mix 3 was confirmed in late October, and after MWC 2019 we now know it's going to be available in May 2019, putting it near the front of the 5G smartphone release schedule. 5G aside, the Mi Mix 3 looks like a strong device, with a magnetically sliding 6.39-inch OLED display embedded in a sleek bezel-less design (93.4% screen-to-body ratio), and a suite of hardware that includes a maximum of 10GB of RAM and 256GB of storage space, as well as a dual rear camera system (24MP + 2MP). Most exciting for users looking to upgrade to a 5G phone this year is the smartphone's price, with prices starting at £520 – and that makes it one of the more affordable 5G phones we've seen up to this point. There are a few qualifiers here: the Moto Z3 is capable of 5G speeds, but only if you buy the 5G Moto Mod for it, and are on Verizon in the US, and are in an area where 5G is supported. Tick all those boxes and you can join the 5G revolution! The Z3 itself was actually launched last year, bringing with it a decent 6.01-inch screen, a Snapdragon 835 processor and 6GB of RAM. It's not the most capable phone in the world, but with a 5G add-on, it qualifies for our roundup. Now Motorola has joined the 5G club, we'll have to wait and see what it has planned for the other smartphones it's launching in 2019. This is T3's upcoming 5G phones list, a breakdown of all the smartphones that we're still waiting for. We cover each handset's slated 5G phone specs, 5G phone price and 5G phone release date in order to provide you with an authoritative rundown of what should be 2019's best 5G phones. The Huawei Mate X is real and officially unveiled... but what about the other Huawei 2019 flagships, the ones we'll actually be able to afford? It's something Walter Ji, President of Huawei's Western European Consumer Business Group spoke to T3 about it in an exclusive interview. Well now the Huawei P30 Pro is out in the wild, we know that 5G isn't included. We're going to have to wait for the Mate 30 series later in the year to get that ultra-fast connectivity – considering how good the Mate 20 handsets from 2018 were, we should be in for a treat. According to the latest rumours, OnePlus will unveil new phones on 14 May 2019, with a 5G-toting OnePlus 7 Pro included. We now have a name for the 5G Oppo phone – it's the Oppo Reno 5G, due for launch later this year. We should be getting more details in the near future. Honor's President George Zhao has confirmed that the maker's first 5G phone will launch in 2019. Indeed, Zhao is so confident in Honor's 5G plan that he also confirmed that the Chinese maker would be first to market with its 5G device, too, really laying down the gauntlet to rival makers. That hasn't happened, but we admire the boldness. No firm details about the Honor 5G smartphone have yet been revealed, but the latest word on the Honor street is that the handset is going to arrive in the second half of 2019. One 2019 Sony Xperia should have 5G. Sony has already shown off the Xperia 1 flagship phone at MWC 2019, but it's arrived without any 5G on board. However, we think it's almost certain that an Xperia handset launched later in the year is going to have the super-fast technology. "Smartphone innovation has always been at the core of Sony Mobile engineers. design philosophy," said Sony as it recently talked up its heritage of world firsts in smartphone technology. In fact, going off what we know already about Sony's commitment to 5G, as well as Sony's track record, it does indeed look like at least one of the company's 2019 phones will feature 5G. We've already heard a few rumours and hints trickle out: here's everything we know so far about the 5G Sony Xperia phone for 2019. However, if it is to release its first 5G phone in 2019, potentially with a battery that can last an entire week, then Sony is waiting until the end of the year: after the likes of Samsung and Huawei. The iPhone XS and XS Max stick to 4G, but could next year's Apple flagship pack rapid 5G capabilities? Unfortunately, right now, the latest reports indicate that apparently due to Apple's on-going feud with Qualcomm, it looks like its 2019 iPhones won't feature 5G. This is because the maker will either have to source its phones' 5G modems from Intel, or build its own – like it already does with its A branded system-on-a-chip. Now, it has to be said that Apple isn't usually a maker that adopts new technology first (even the iPhone X didn't come with LTE-Advanced, for example), so this may well be the strategy it adopts for its 5G devices – launch a year later when the market has settled down somewhat. But then again, considering the iPhone is due a major overhaul this year after the iterative reworking of the XS and XS Max, would it be too much of a risk to hold off on 5G until 2020? Every Android maker of note looks set to have a 5G device in 2019, so Apple may have its hand forced to stay competitive. Watch this space!